Once again, a number of interesting and even significant events for this week, nearly half way through May. As ever the days, weeks and months seem to fly by! 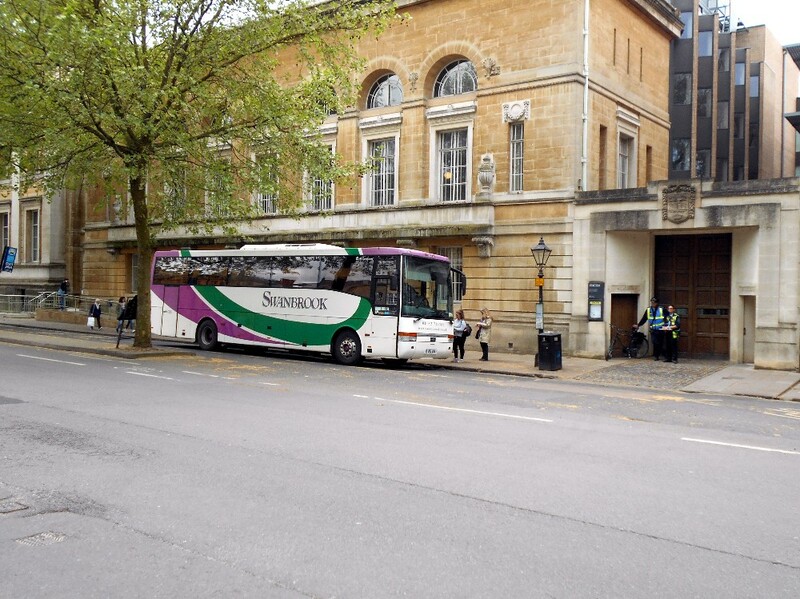 I am sure readers will be interested in the new service to be offered by Oxford Bus from June 25th next month. The Go-Ahead Group (LON: GOG) is to launch the UK’s most ambitious demand-responsive bus service, allowing passengers to summon a bus to pick them up on a street corner of their choice. 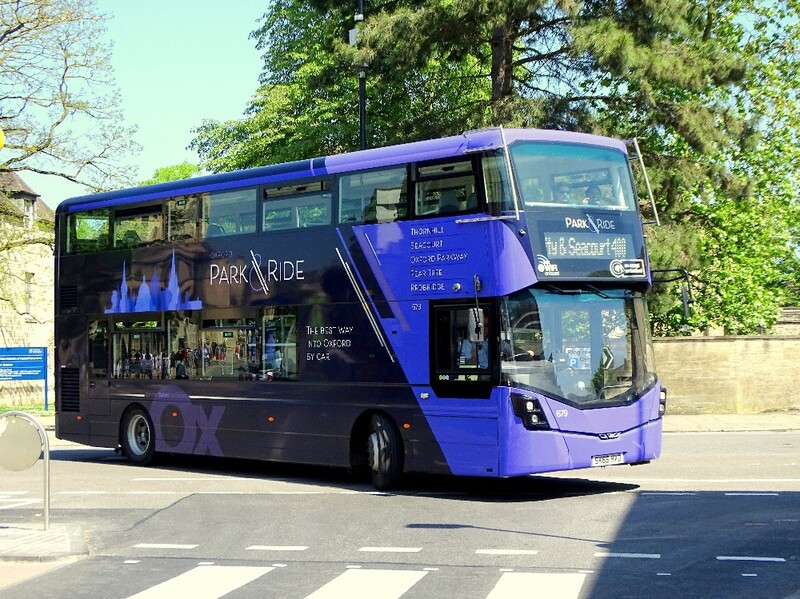 From 25 June, workers, residents and students in a 12-square mile area around Oxford will be able to request a bus pick-up within minutes at a “virtual bus stop” at their convenience using a new mobile app. 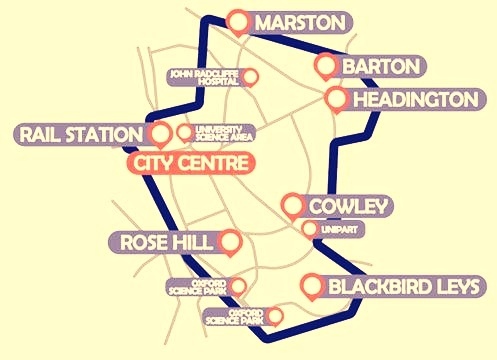 The PickMeUp service, which is being piloted by the Oxford Bus Company on behalf of the Go-Ahead Group, aims to meet the changing needs of people in parts of the city where passenger numbers increase sharply at certain times of day, making it more difficult to manage through scheduled services. The new concept will be operated using 17-seat minibuses with free WiFi, USB charging points, wheelchair access and comfortable high-back seating. Front-end and back-end technology for the service has been developed in partnership with Via, a US leader in ride-sharing technology with its own operations in New York City, Chicago and Washington DC. 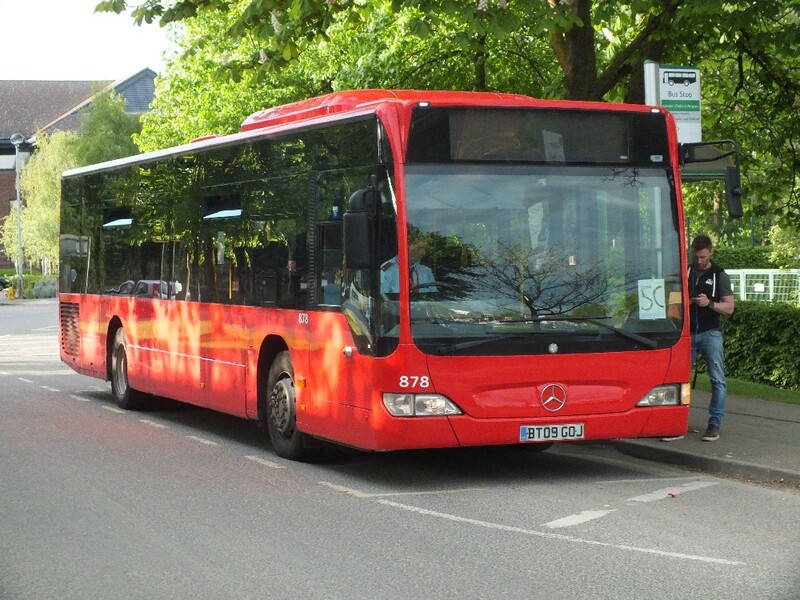 Six Mercedes City 45 Sprinters from EvoBus (Stock vehicles) to be 17 high back seats with 5 standees in a purple based livery (aka City 4 and P&R ), most appropriate as the buses may call at the Park & Ride sites. At present no registration numbers are known and the company has not made a decision on fleet numbers. 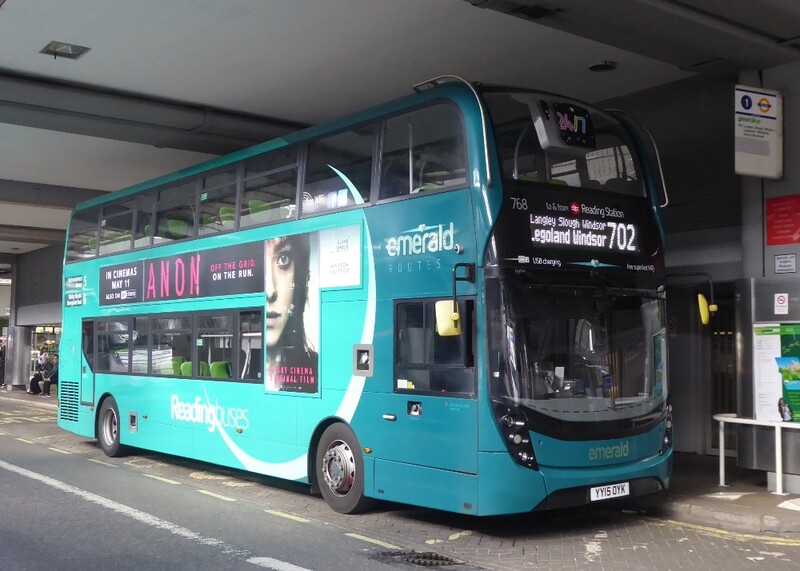 Employers in the Eastern Arc around Oxford are to be offered tailored subscription packages providing discounted or free travel for their staff, creating a quick, easy and convenient alternative to commuting by car. Experts estimate that the UK’s ride-sharing market will be worth £2.6bn by 202. International projections suggest that car ownership could drop by as much as 80% by 2030, with passengers migrating towards alternative models of transport. PickMeUp builds on recent transport innovations by Go-Ahead, which is the largest operator of electric buses in Europe, and is the operator of UK’s only all-electric bus garage in central London. In February, the company invested in a Frankfurt-based all-electric car sharing business Mobileeee, and Go-Ahead is set to pilot the UK’s first bus ticket system using iBeacons in the North East later this year. 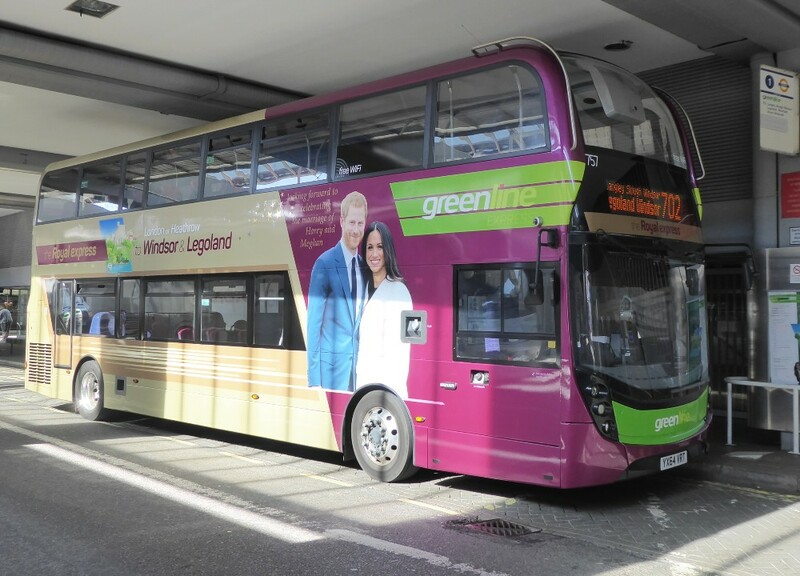 Commenting on the new service, Go-Ahead Group Chief Executive David Brown said: “We’ve listened closely to what the local community has been asking for in Oxford. Passengers are keen for a quick, easy and flexible way to get to work or to college. “PickMeUp is intended to be a partnership model with local businesses – we want to help them get their staff to work in a quick, simple, convenient and cost-effective way. 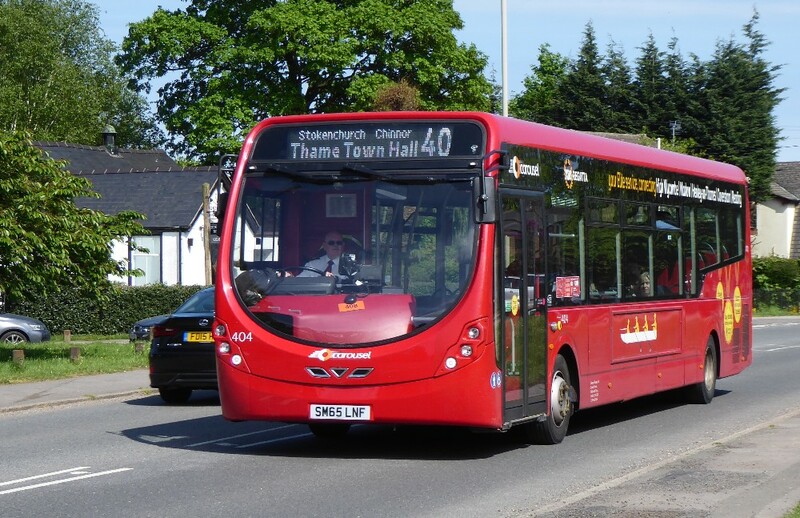 Phil Southall, Managing Director of the Oxford Bus Company said: “As an innovative company we are keen to devise new solutions to continue to meet the needs of our local communities. 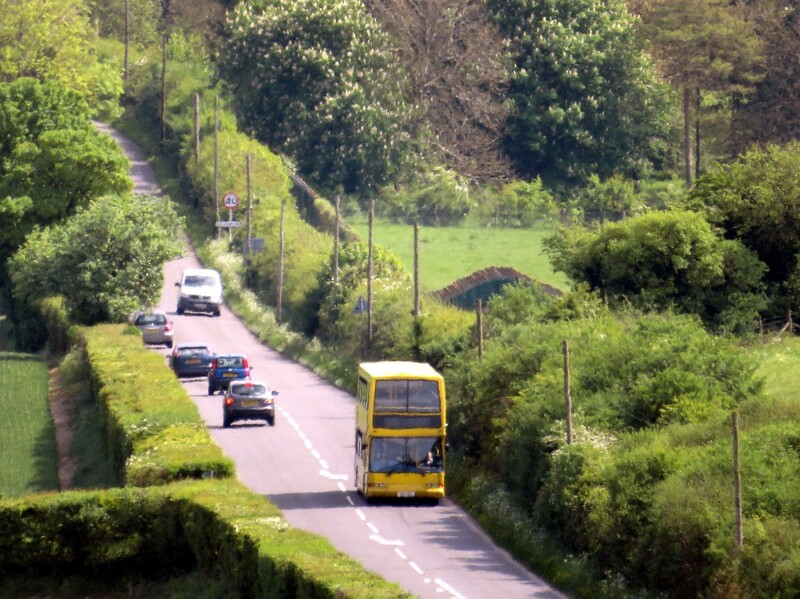 Connectivity has been a challenge for some to the east of Oxford and we believe our new service will help where traditional bus routes do not work commercially. PickMeUp will launch with an initial service of six modern buses which have a maximum capacity of 22 passengers. The service will run between 06.30 and 22.30 during the week and 09.00 to 20.00 on the weekend. towards Ivinghoe Aston whilst working the 1105 Dagnall – Leighton Buzzard 162 on May 9th 2018. Photo by Nick Ross. The Thame Time Travellers excursion on May 5th was organised by the Leyland Olympians Yahoo Group and used seven different Olympians with the day centered on the operating base of Walters Coaches, Forest Hill, Oxford. 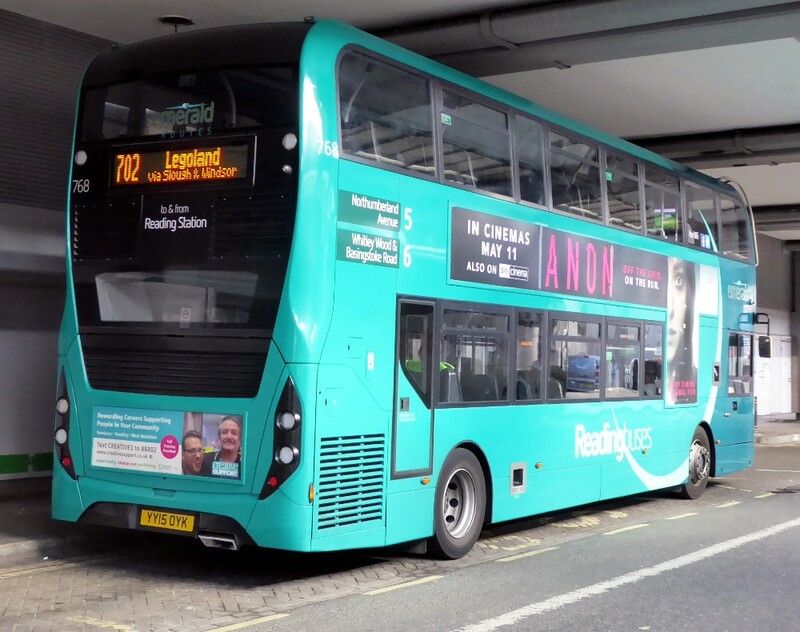 The journeys advertised in the very informative leaflet, which I have used to provide route and bus information, showed a total of approximately 140 miles. 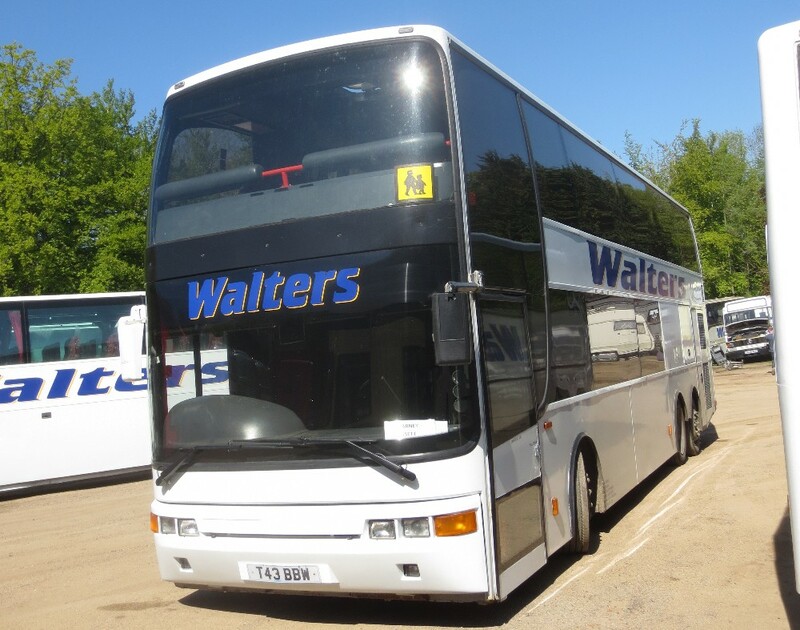 Trip 1 – (TIL 6571) Thornhill Park & Ride to Oxford railway station then via Stanton St John to Walters yard. 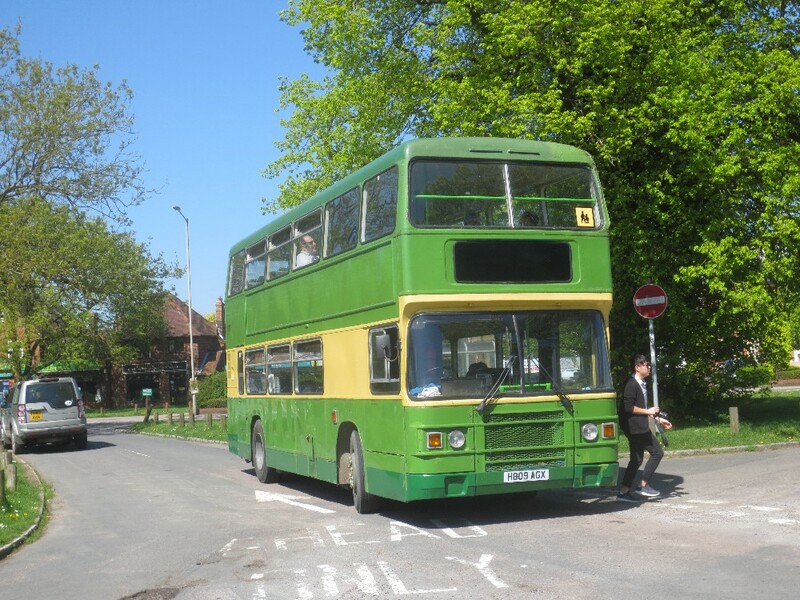 Trip 2 – (L952 WSC) From the depot to Wheatley Village to Worminghall and return to the depot via Stanford St John. Trip 4 – (M225 VSX) To Thame (lunch break) and back via A40 and A418. Trip 6 – (TIL 6573) Through Barton to Kennington and Radley and return. Trip 7 – (TIL 6572) From the depot via A40 to Marston, photo stop in Marsh Lane and then to the railway station and back to Thornhill. TIL 6571-3 were all new to Kowloon Motor Bus and previously operated by MAS Engineering, North Anston. H809AGX was new to Metrobus, Orpington. This was a superbly organised day with a great bunch of enthusiasts, some of whom had travelled substantial distances to attend. I have a number of photos around the yard which I will forward soon - they are of variable quality as we only had about 20 minutes to get everything. I was photographing ostensibly as a means of recording the numbers but some may be of interest. 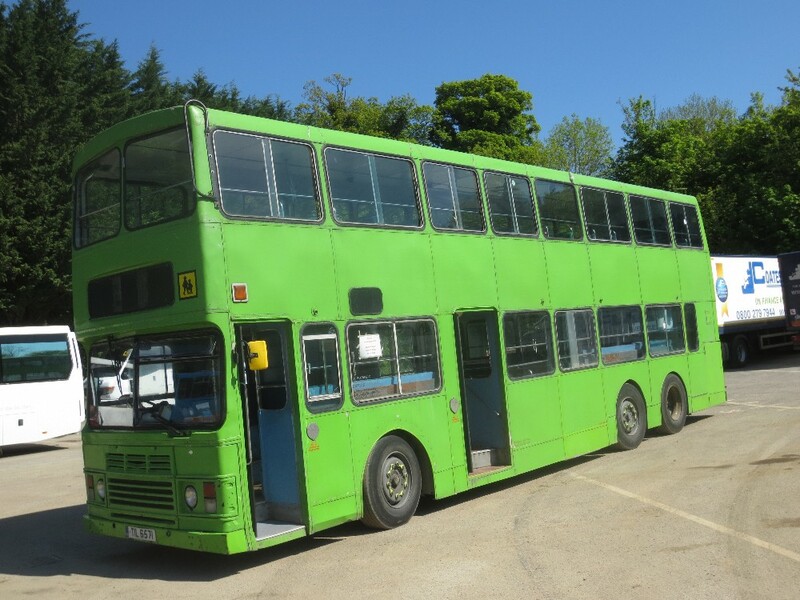 I attach one of the double deck coach photographs which I know from the registration is ex-Oxford. I am sure we all look forward to some further photographs from this excellent trip. US equity fund Apollo has abandoned its planned takeover of FirstGroup having walked away from plans to make a bid to take over FirstGroup. FirstGroup considered Apollo’s undisclosed proposals “opportunistic” and it believed that they “fundamentally undervalued” the company. They were accordingly rejected unanimously by its board. British law meant that Apollo then had until 9 May to either make a firm offer for FirstGroup or walk away. The equity fund has not offered any reasons why it dropped its plans. 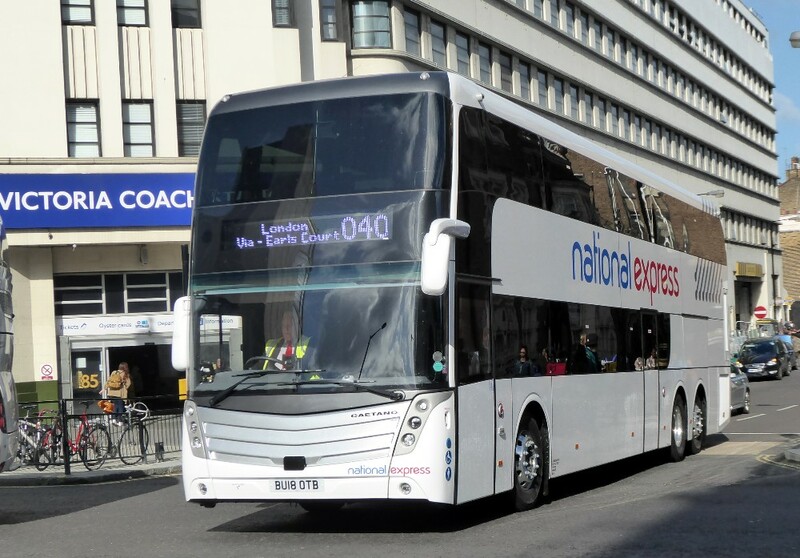 FirstGroup shares slumped by 10% following Tuesday’s announcement; they had climbed by an initial 7.4% when Apollo’s interest was first disclosed. FirstGroup’s board says that it “continues to believe in the strong prospects for shareholder value creation available to the company.” The group has not paid a dividend since 2013 and it has lost 40% of its value over that period. 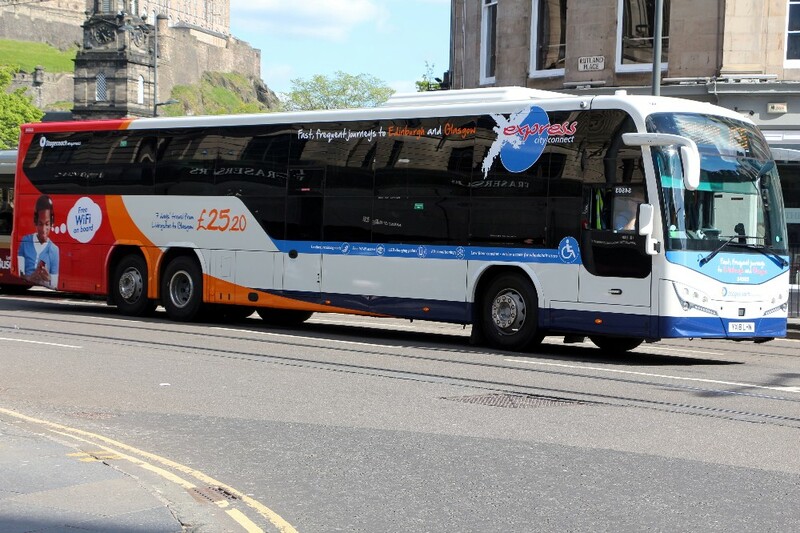 FirstGroup will publish its full year results for the year to 31 March at the end of this month and it will further update on the company’s outlook at that time. At the time of Apollo’s initial approach, analysts suggested that FirstGroup is undervalued, with recent poor performance having caused the market to overlook its leading or near-leading positions in its main areas of activity. The group currently has a market value of £1.2bn. Others have added weight to the theory that the cash approach from Apollo could force FirstGroup to act, which may include a break-up of the company. 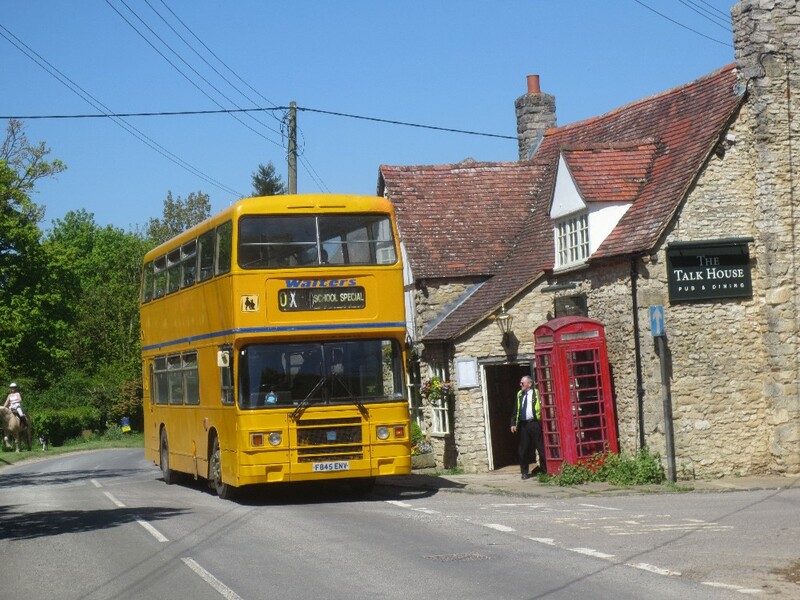 A set of seven principles to be followed by the Department for Transport (DfT) and operators aimed at resolving the “uncertainty” around the eligibility of Bus Service Operators Grant (BSOG) claims for schools services has been set out. The changes come in from 1 September. The DfT is about to send a letter to all operators setting out the eligibility circumstances and the ‘set of principles’ to be followed, after discussions between the DfT, operators, local authorities, auditors, claims compliers and the Confederation of Passenger Transport (CPT). In October 2015 the DfT wrote to operators saying they should not be claiming BSOG for ‘closed’ services which only pupils and staff are able to board. Operators’ websites, literature, Traveline details are also covered by the ‘principles’, as is what should happen if doubt still remains about a service. Marcus asks "I have been sent a black & white photocopy of a photograph of SLT 58 (attached). The destination is shown as W H SMITH on route 1 to High Street. Can you possibly shed any light upon this choice of display blinds please?" The Tilling-Stevens petrol-electric proved popular for passenger vehicles during the 1920s, and orders were received from as far afield as China and Melbourne, Australia. However, improvements in transmission design saw demand for petrol-electrics fade in later years, as their method of operation offered no advantage in fuel economy. However, for some applications like wartime searchlight lorries, the petrol-electric still had its uses. 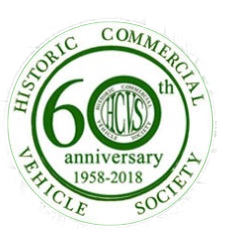 The Tilling-Stevens company continued to produce commercial vehicles until 1950, when it was taken over by the Rootes Group and manufacture ceased not long after. 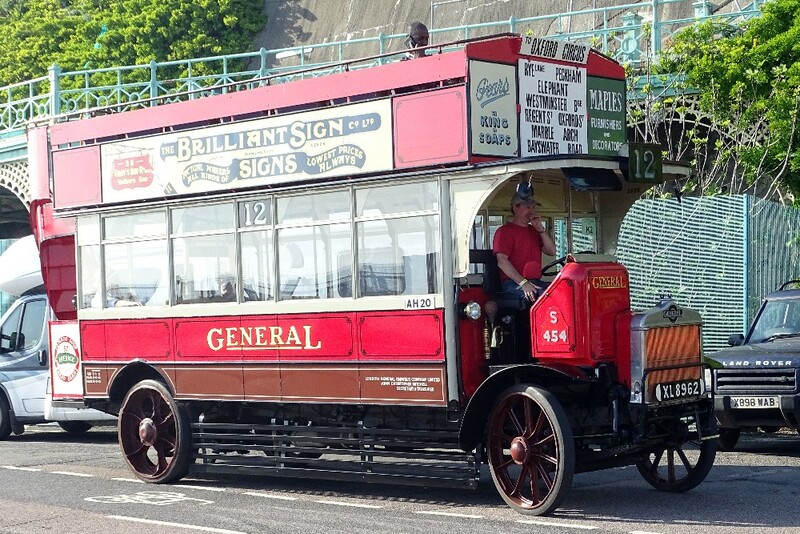 This actual Tilling-Stevens was delivered from Maidstone to the Thomas Tilling garage in Catford, London, in June 1922 and fitted with a 48-seater (22 inside, 26 outside) open-top body built on the trussed-girder principle for extra strength and freedom from vibration by Tilling's coachworks in Wren Road, Camberwell. It was registered XL-1204 and given the fleet number 935. It remained in service until 1931, when it was sold to a dealer named W.H. Cooper of Bethnal Green. London. The picture above was taken by Gary Seamarks at this years' run. 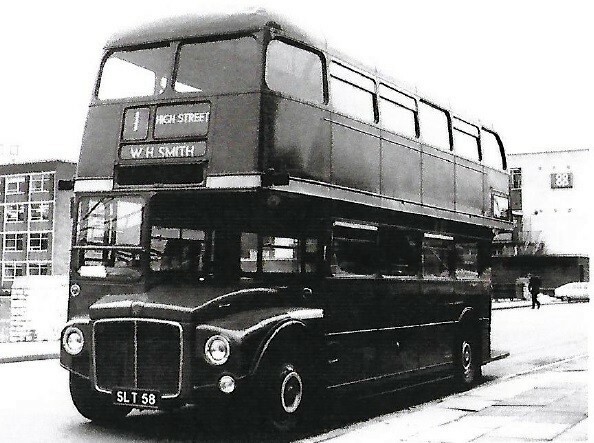 This bus ran on various routes during the 1920s and was finally withdrawn from service in 1931, when it was working out of the Old Kent Road LGOC garage with the Metropolitan Stage Carriage plate number 5988. It was sold to the War Department on 27 April 1931; this seems to have been simply a "holding operation", since on 20 May the same year it was in the hands of Carjax Ltd, of Albemarle Street, London W1, a company concerned with the financing of hire-purchase agreements. A few weeks later, Carjax sold it to Dependence Motor Transport (Cartage and Removal Contractors) of 1/8 St John's Mews, Plough Terrace, Clapham Junction, London SW11, for "use at some future date as a petrol goods lorry". In July 1934, the S-Type was sold via Ford Main Dealers Allan Taylor & Co of Wandsworth to Mr. T. Hyatt of Blackshaw Road in nearby Tooting. Royal Blue 1250 LTA729 by Gary Seamarks. 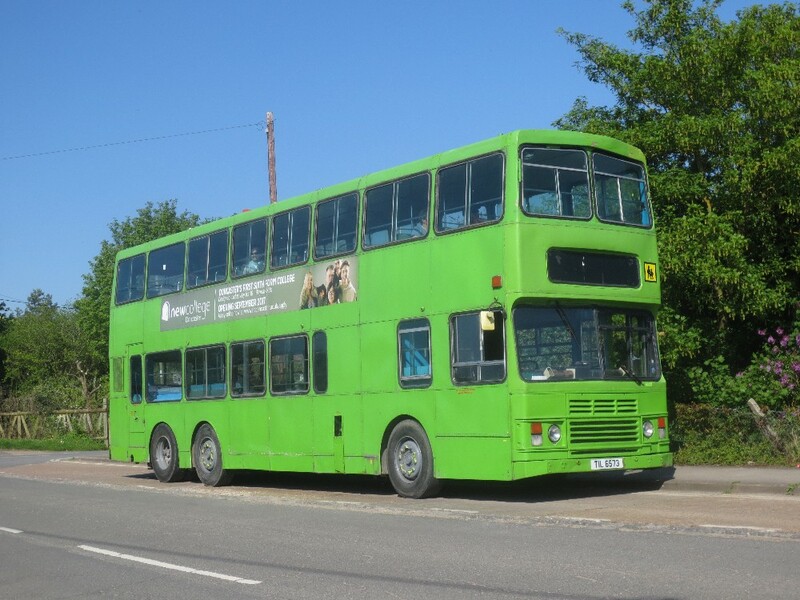 This Bristol LL6B with a Duple 37 seat body entered service with the Western National Omnibus Company in March 1951 and ran with them until January 1964, when it was sold to a dealer, W North's Ltd. 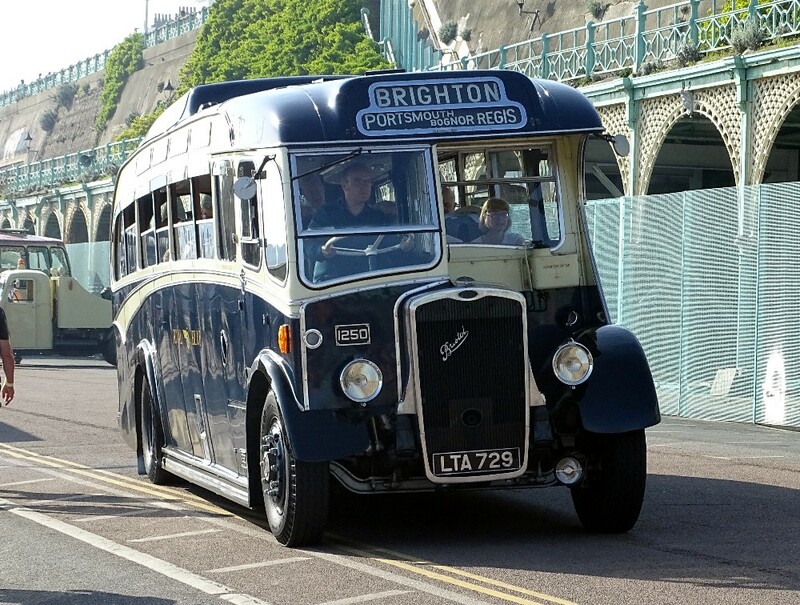 This type of coach had a quite long life considering that in 1951 the first underfloor coaches were entering service. It even had a luggage compartment on the roof! 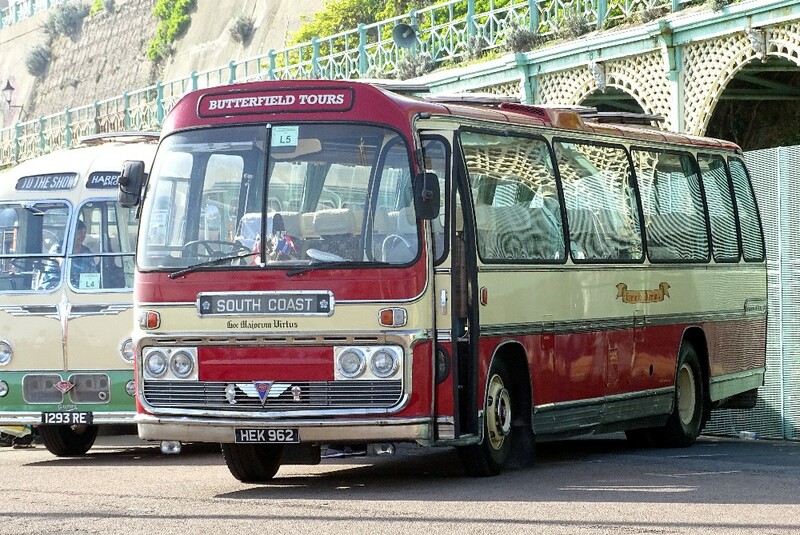 HEK962 of Butterfield Tours by Gary Seamarks. HEK962 is an AEC Reliance 2MU3RA and was new to Smiths of Wigan in July 1961 when it had a 41 seat Plaxton body. 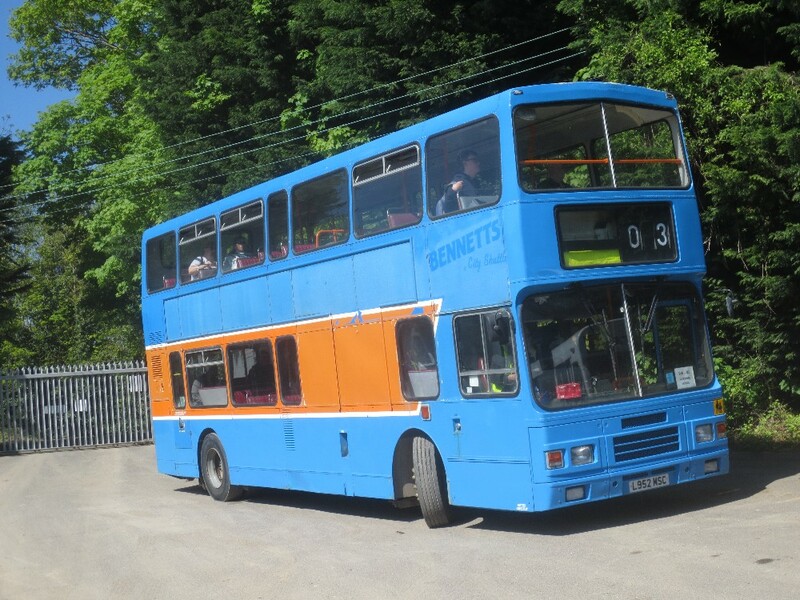 In 1974 it was rebodied by Plaxton with this Elite body. Many thanks to Gary for these evocative pictures. 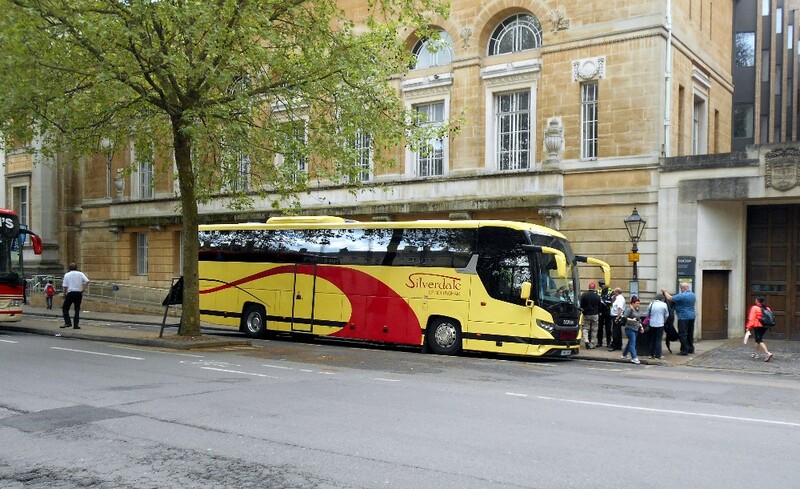 The above picture shows the coach stop in St Giles where Swanbrook's 853 service departs from. Their BIG2115 is seen on the lunchtime departure to Gloucester on May 12th by Gavin Francis. Of note are the two wardens and the recent lack of coaches causing congestion. The St. Giles stop, this time with a Silverdale coach unloading under the watchful eye of a warden! There is also a Pulhams coach just off stage left!! May 13th by Gavin Francis. 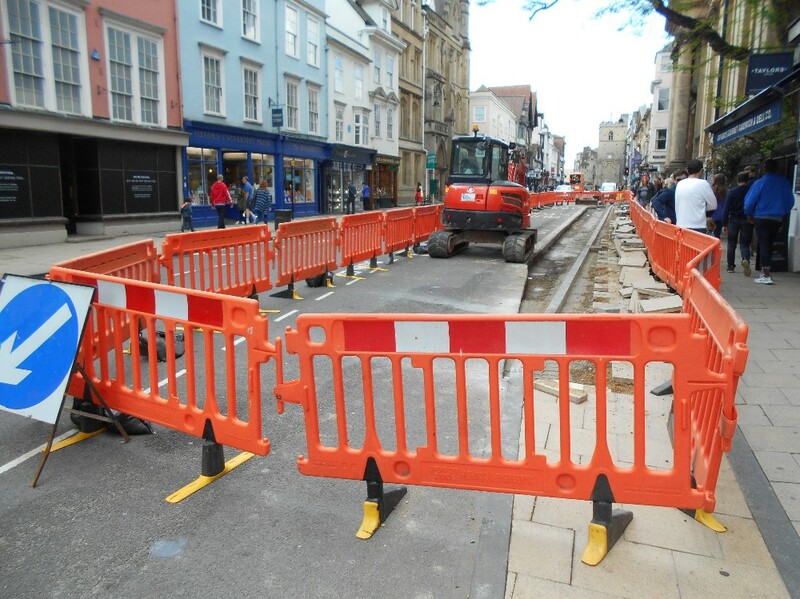 Readers may remember the problems caused in the High Street, Oxford by changes to the pavement layout. 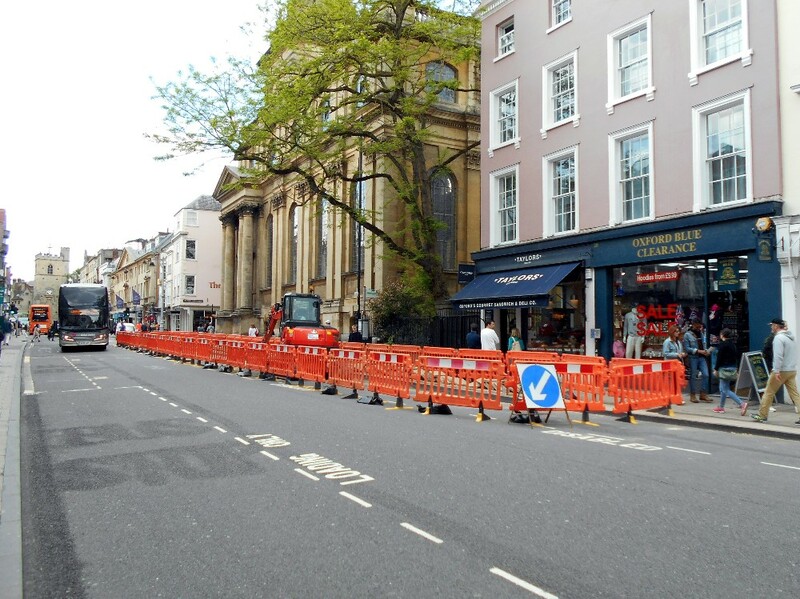 Significant traffic delays were caused and now work has started on remodelling the road as seen in the pictures taken on a quiet Sunday morning by Gavin Francis - May 13th. At one point, a vehicle stopped opposite the works bringing traffic to a standstill!!!! 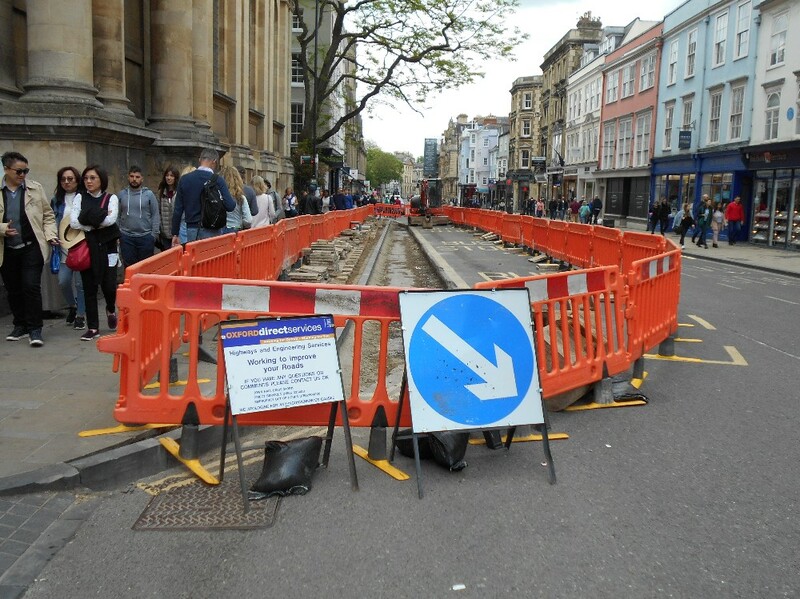 Let us hope that this further work resolves the delays in High Street and wonder why the original changes were made and the costs involved? Remodelling of Frideswide Square has recently been undertaken, again to resolve what one could imagine were obvious before anything was started. The following letter appeared in the Slough Observer this week: "The bus service in Slough is a disgrace. All buses only go to Slough and then you have to change. Unfortunately not all buses go into the bus station as it is too small so you then have to walk to the bus station. What about the elderly and disabled who can't walk far and could be slow (missing their connection)"
The background to this is that over the last 3 years First have withdrawn all through services, so Windsor, Eton, Maidenhead, Burnham, Cippenham, Britwell no longer have direct routes to Heathrow or Uxbridge and even cross-town services have disappeared so no connections to the Trading Estate or Wexham Park Hospital. The situation has not been helped by the much-criticised new bus station which has only 10 bays (18 at the Eden I believe), so three stops at the railway station and 5 on Wellington Street (A4) are also used. Bizarrely all services to Heathrow depart from the stop on the south side of the A4 whilst the bus and rail stations are both on the north side! The service changes have been justified based on more reliable and efficient operation although I think passenger perception has been overwhelmingly negative. 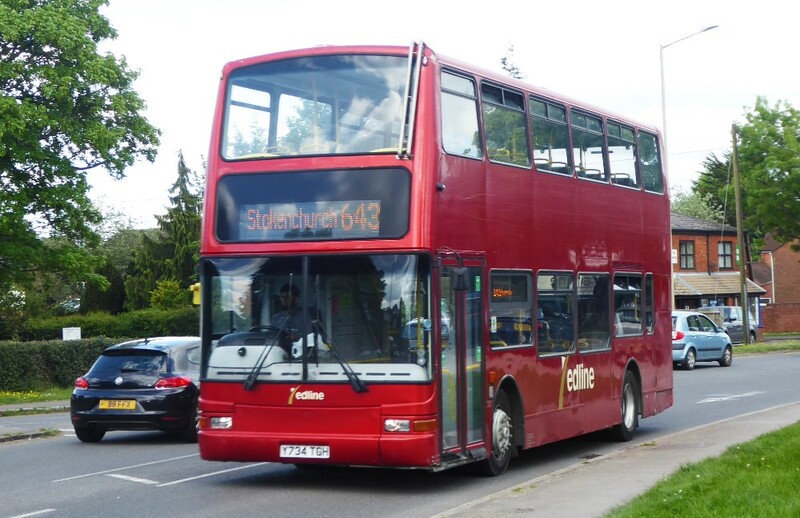 It seems First are taking some notice of customer opinion as from June 2nd services on the existing route 8 (T5 - Staines - Windsor - Slough) will be extended as service 9 via the A4 to T5 to form a circular service. 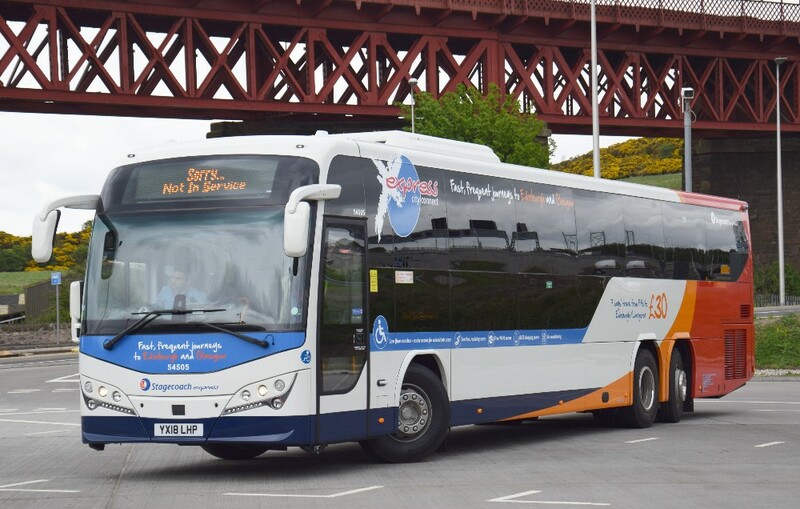 New deliveries to Stagecoach East Scotland have made headline news with a brand new Plaxton tri-axle DP. Pictures by Gordon Scott and Paul Hawkins. Here's one that might be "just the ticket" for the X5. East Scotland's 54505 ready for service with the X55 seen on May 9th by Gordon Scott. And in service the following day, seen in Princes Street, Edinburgh, 54505 on May 10th by Paul Hawkins. Also in service the following day, seen in Princes Street, Edinburgh, 54503 on May 10th by Paul Hawkins. The picture really emphasises the length and low floor front end. taken on May 9th by Gordon Scott. Quite unusual on the Link 40 during the week is the use of a StreetLite as seen above with 404 working the service on May 14th - Gavin Francis. 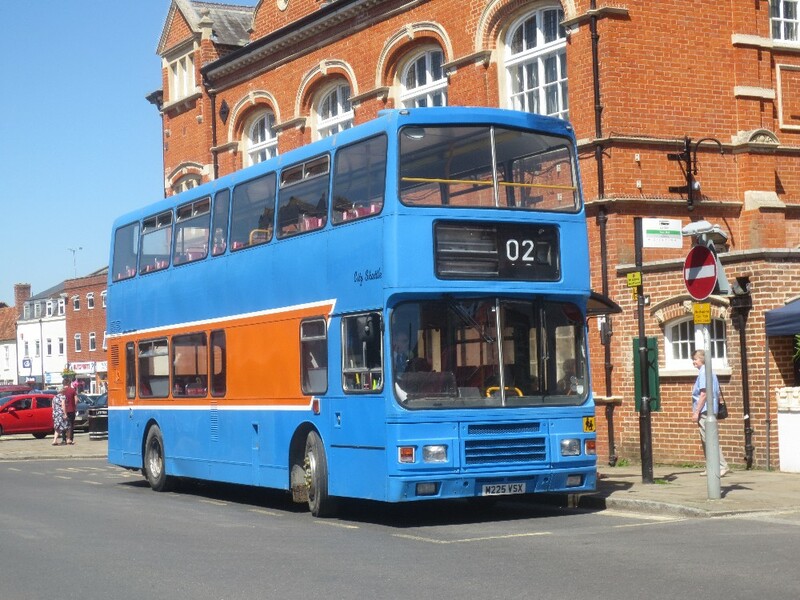 With the upcoming withdrawal of the X80 to Henley maybe the Link 40 will see these buses more often. Charlton Y236LRR in Wedding mode in Oxford on May 12th by Gavin Francis. 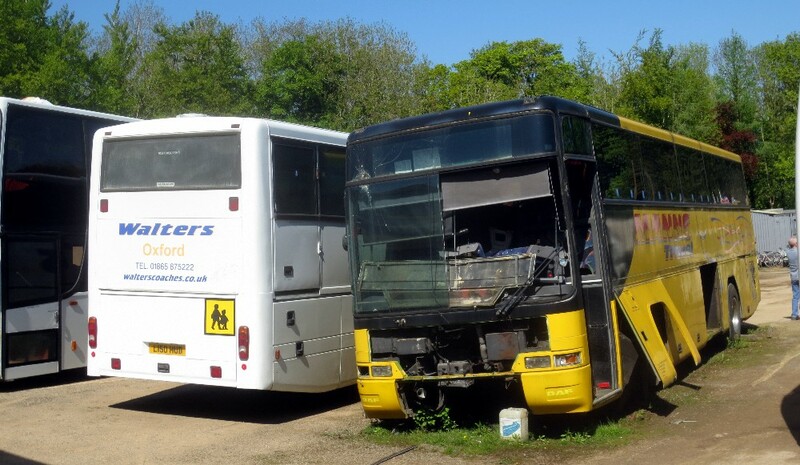 Many of the High Wycombe based coaches seem to park around the area, rather than returning to their new base at Hazelmere. Cygnus YG67FZN at Stokenchurch on May 10th by Gavin Francis. This may have been on a school run but there is no indication of same. 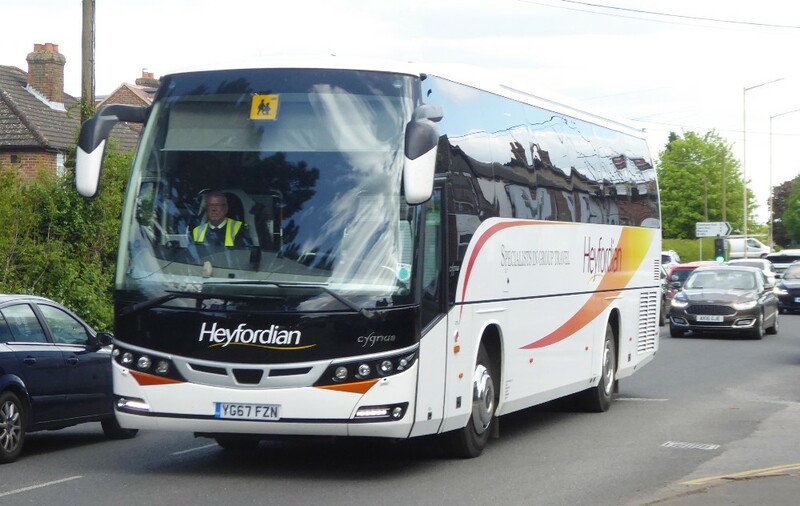 More details are to hand for the new double deck Scania coaches being introduced into service by Edwards Coaches. 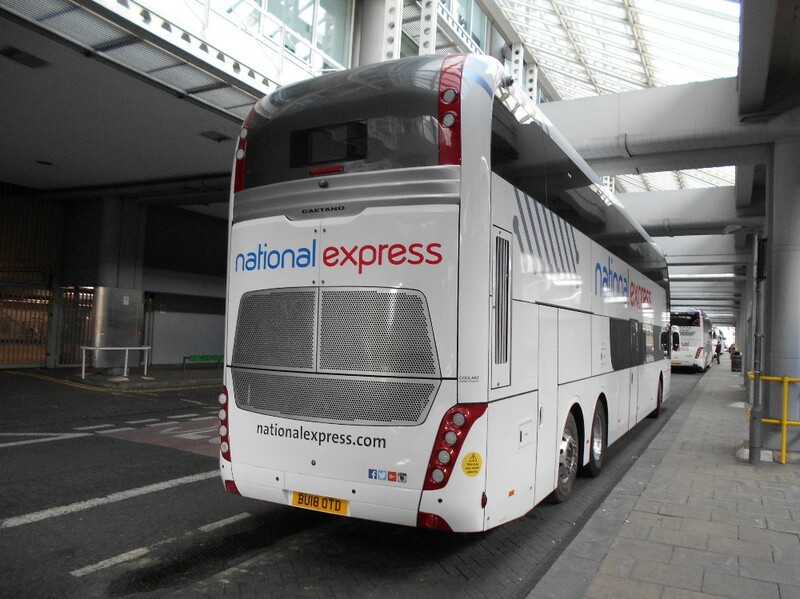 It appears that these are a further order for National Express adding to the fleet already in service with Edwards. Edwards BU18OTB by VCS on May 10th caught in the lens of Gavin Francis . Edwards BU18OTD in Bulleid Way on May 13th by Gavin Francis. 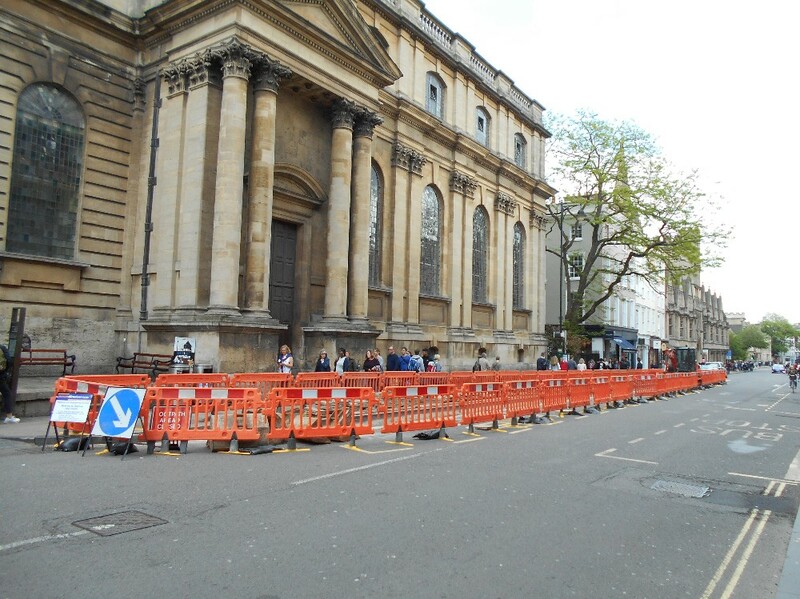 As part of the road works in Oxford, a pedestrian crossing has been put in at the junction of St. Aldates and Speedwell Street, often a difficult place for pedestrians to cross. 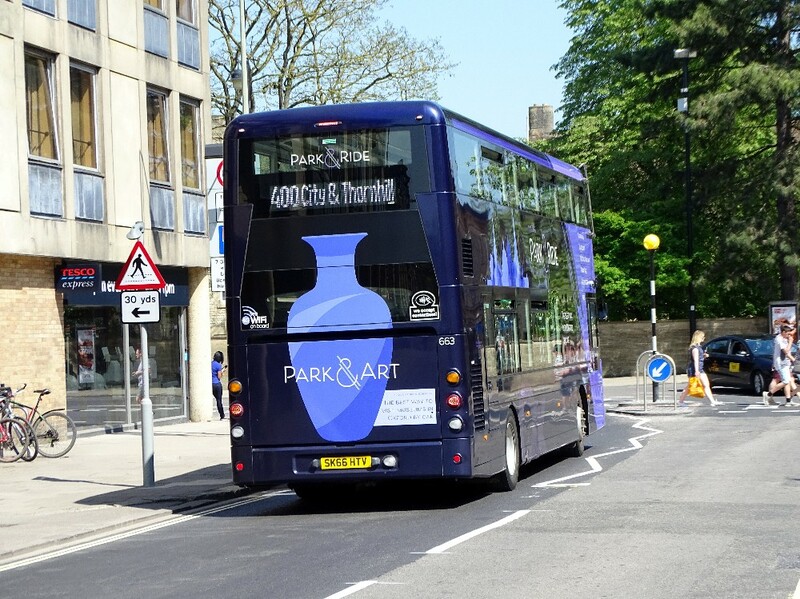 Richard Sharman's pictures show two Park & Ride buses on the 400 at this point on May 6th. 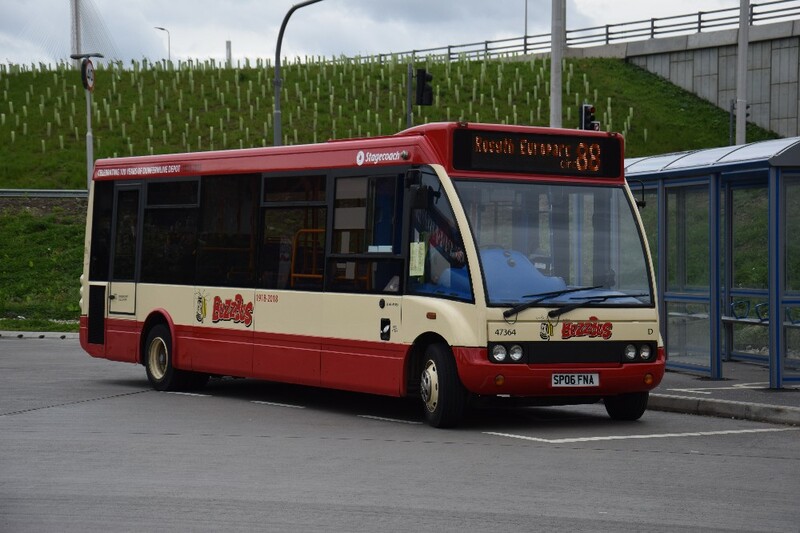 Graham Mildenhall writes "On my way home Tuesday 8th May and a red Citaro turned into Oxford Airport in front of me. All red, no vinyls etc. and no electronic destination blind. 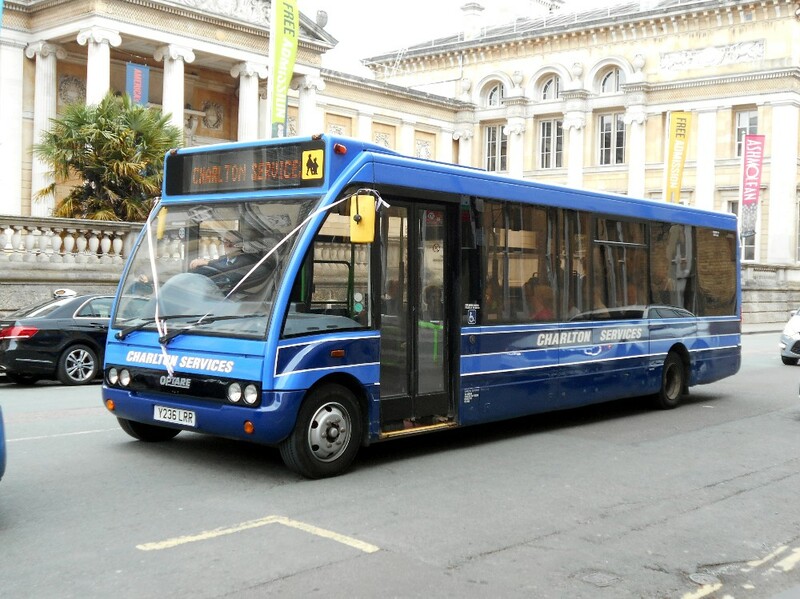 It turned out to be 878, which was at least until recently with Carousel, now operating a City Centre to Oxford Airport 2D service although rather confusingly for the punters a paper label stuck in the windscreen showed "5C". 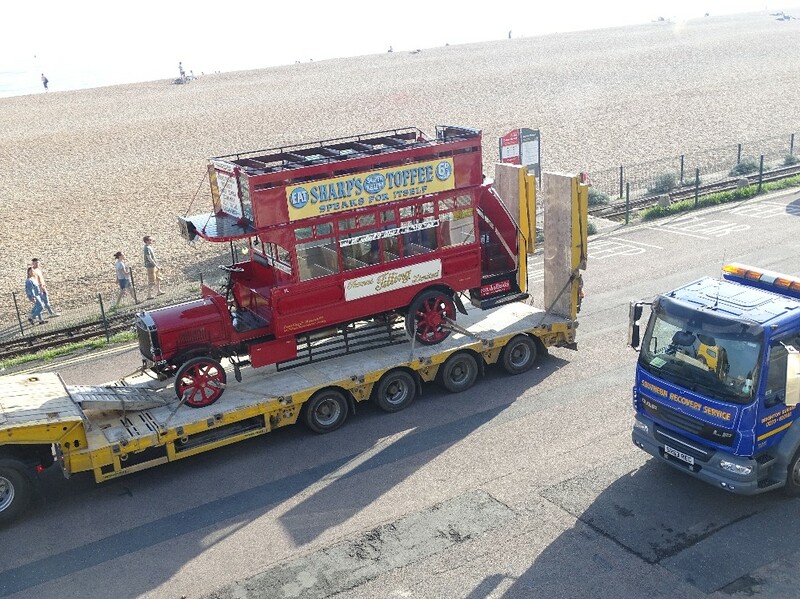 However the driver very carefully removed said label and replaced it with the correct route number 2D on another paper label for the return journey to the city, pictures attached." Interesting if anyone can provide pictures of X90's on this diversion. Please be aware that with immediate effect until the end of May 2018, Phase 2 of the Baker Street two-way project will be in place with temporary traffic signals and lane closures at the junction of Marylebone Road and Baker Street. We will endeavour to serve Baker Street at all times but in peak times, our London bound X90 services may need to use a dedicated diversion route which does not serve Baker Street to avoid any serious congestion. However, they will observe the bus stop at Sale Place on Praed Street, very close to Edgware Road Station. Oxford bound coaches will not be affected. Click here for more information on the Baker Street Two Way works. 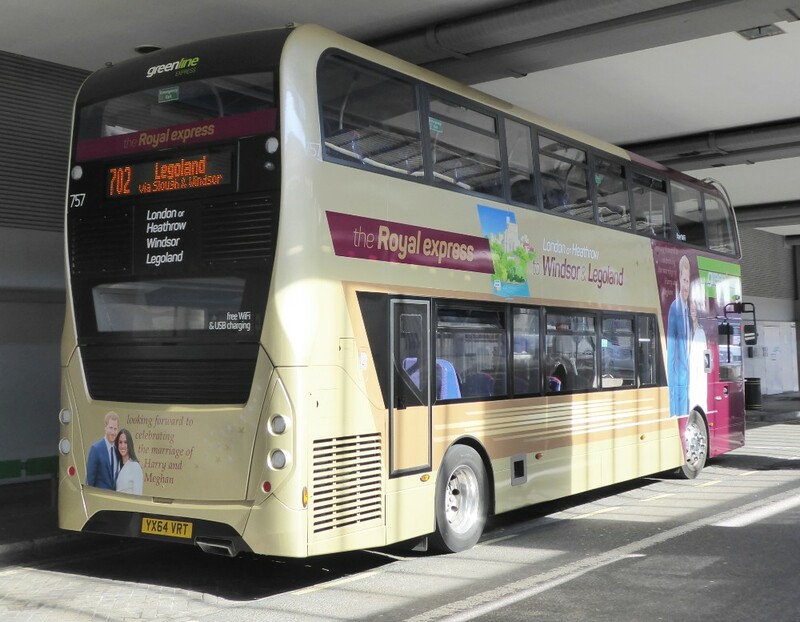 Quite an effort has been put into promoting the 702 service to Windsor in connection with the upcoming Royal Wedding. This can be seen in part by the wrap on the MMC seen below. The Royal Express - MMC 757 in Royal Wedding garb in Bulleid Way on May 9th by Gavin Francis. Emerald 768 in Bulleid Way on May 10th by Gavin Francis. This company does have some really smart buses, even when they are older. 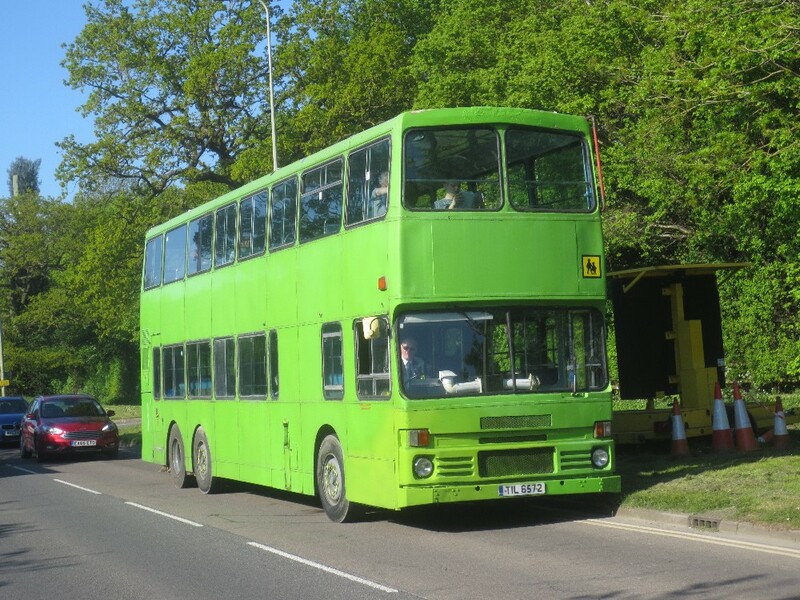 Y734TGH President is ex Go-Ahead London PVL234 and the picture above by Gavin Francis taken on May 10th. The ADL MMC Gold 10905 has now returned to West at Cheltenham presumably as 12008 is now returning giving a replacement. If anyone has pictures of 10905 in Gloucester these would be appreciated for publication in OCBP. Details are show below of the route for which these Golds are intended. 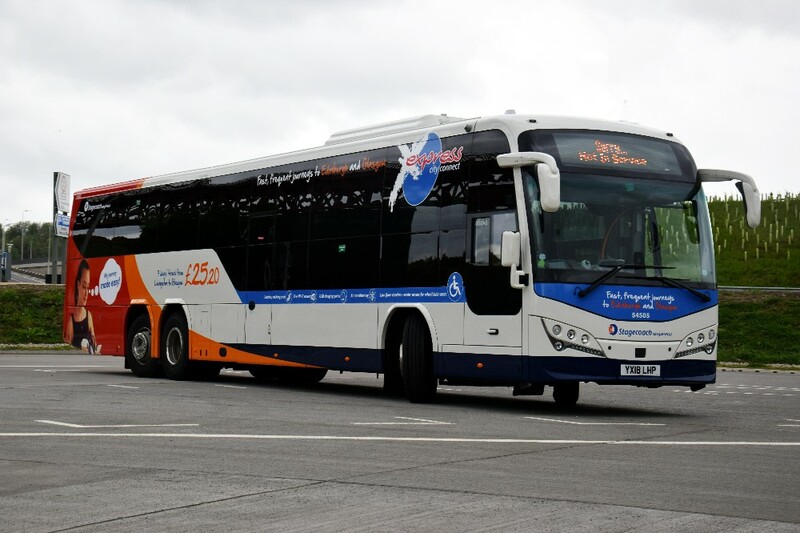 Stagecoach West begin operating Cheltenham’s Arle Court Park and Ride Service today, Monday, May 14, and will be providing a fleet of brand new buses with luxury and style. 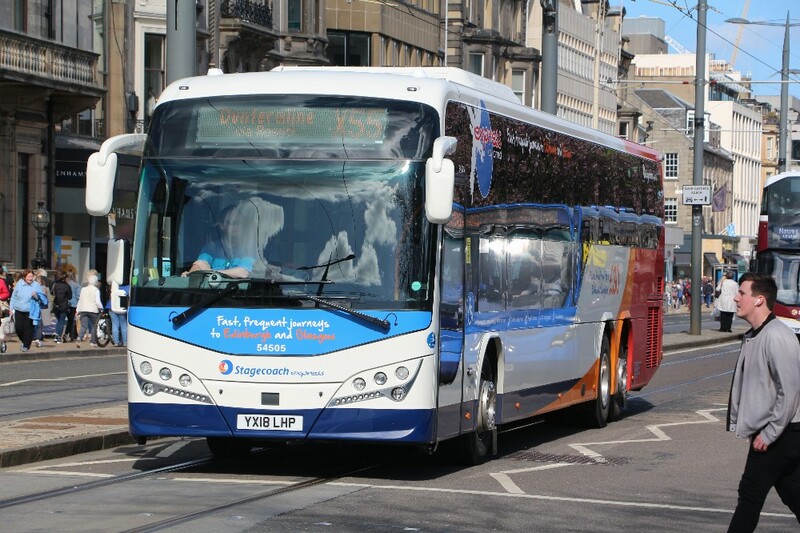 A £1million investment from Stagecoach West sees four new Stagecoach Gold buses run the route, providing quick and frequent services into Cheltenham up to every 12minutes. 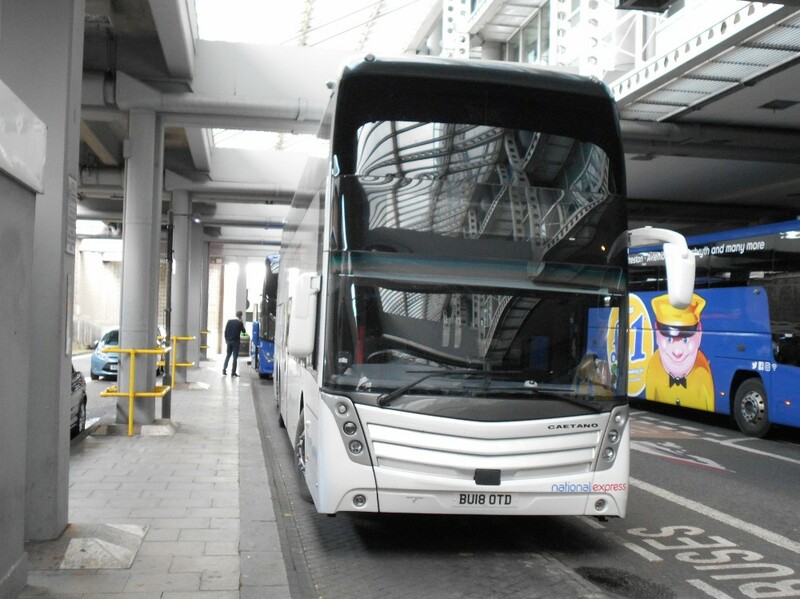 The brand new MMC E400 double deckers are not only luxurious but more environmentally friendly as well. · Hand-stitched Italian designed leather seats with high backs. · Extra leg room for greater comfort. · Free Wi-Fi and USB charging points so customers can stay connected whilst they travel. 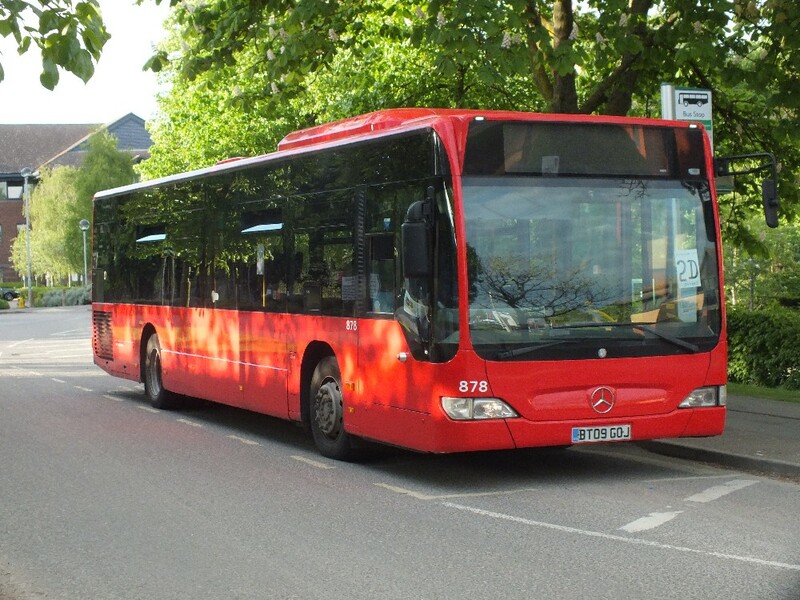 · Cleaner, quieter Euro 6 engines designed to cut emissions. · New rear destination boards with extra information. · Drivers who have undergone extra customer care training. Return tickets to Cheltenham Town Centre will cost £3.70 for an adult, whilst two under 16s will be able to travel for free alongside a fare paying adult. A weekly ticket will cost £13.50 when bought online or through the Stagecoach Bus App (£14 on the bus) and the 4-week ticket will cost £52 (available on bus and online). Stagecoach West has also introduced the convenient option of contactless payment on all of its buses. 53702 ... plus four others just turned up at Northampton for rail replacement work on W7 Wellingborough- Bedford (peak only) from May 20th. noted by Gary Semarks. Pictures much appreciated Guys! Ed. Use the menu on your left to view other content.